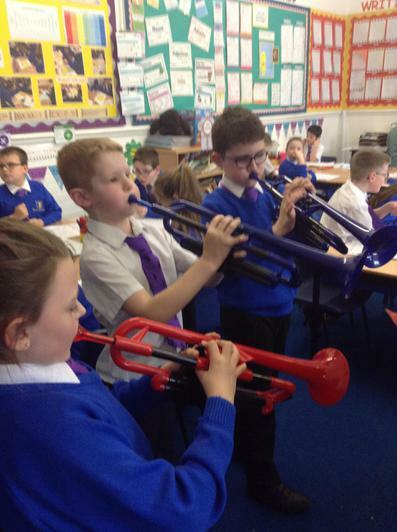 If your child is interested in learning an instrument please contact the school office on 01304 201643 for more information. 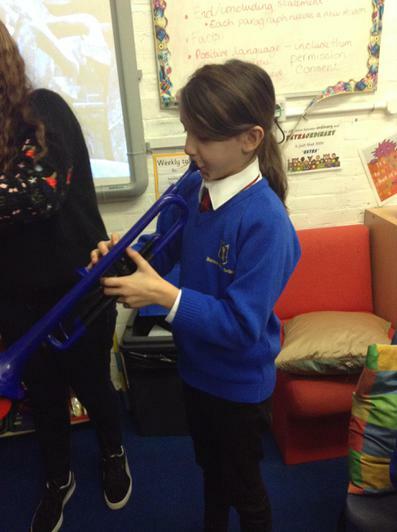 All the children in Year 4 are given the opportunity to learn a musical instrument. 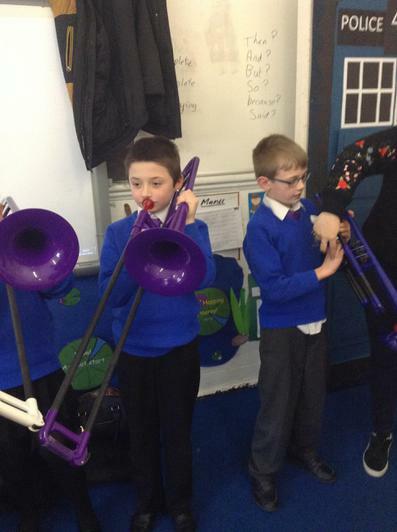 This year they are learning to play trumpets with help from Bold as Brass and Deal Music and Arts. 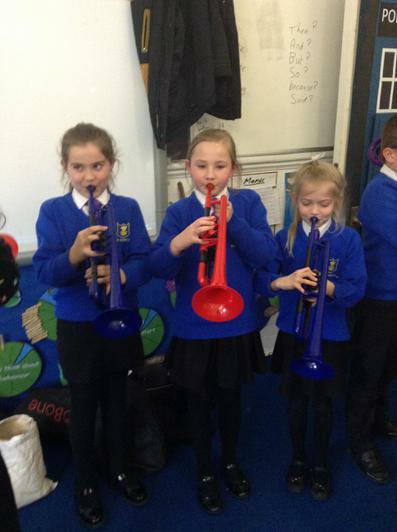 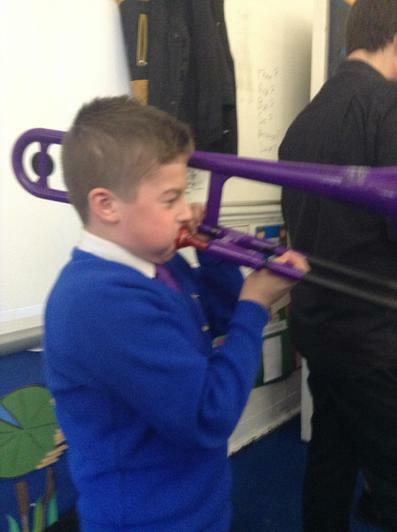 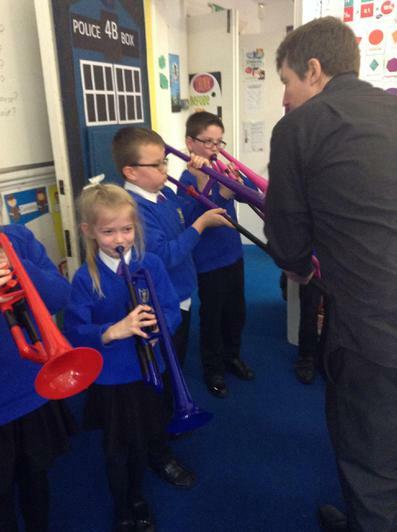 The children will need to bring their trumpet in every THURSDAY for their normal lesson with Miss Warsop. 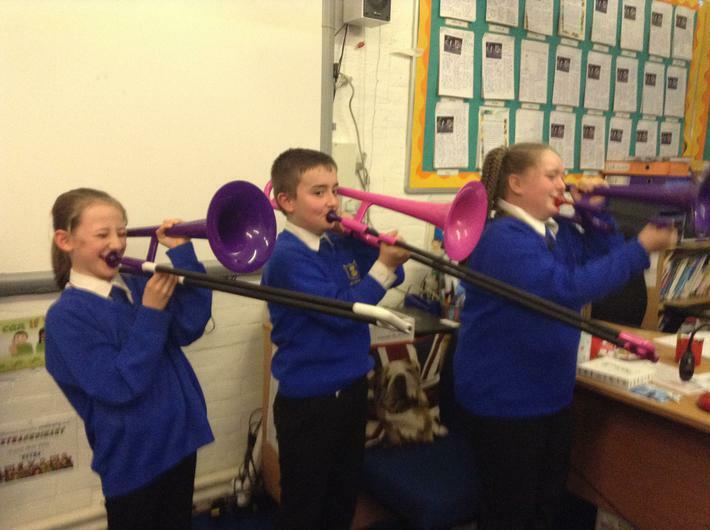 We will let them know in advance if they need to bring them in for any extra sessions. 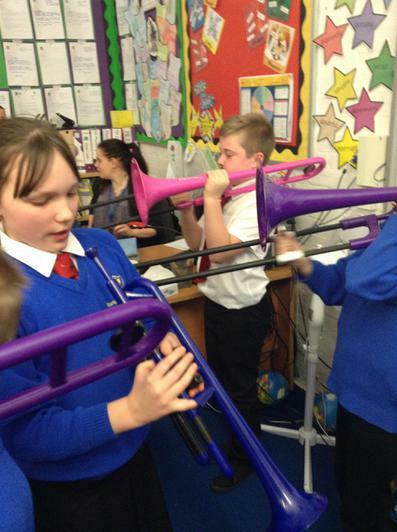 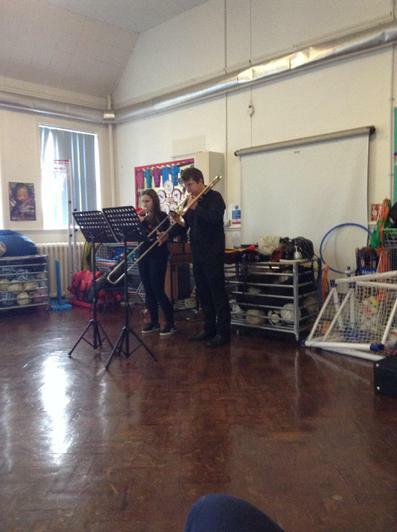 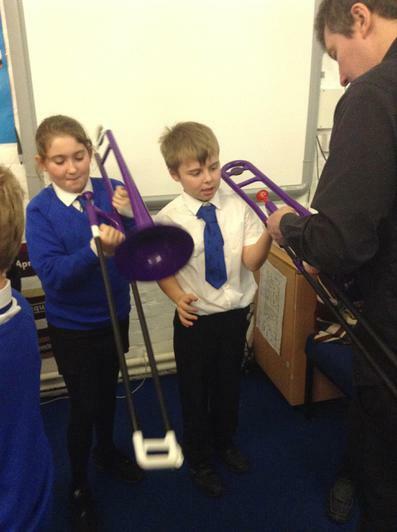 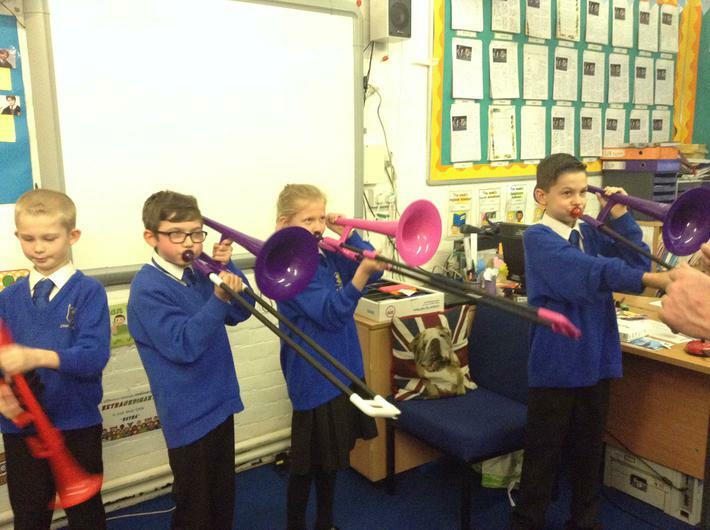 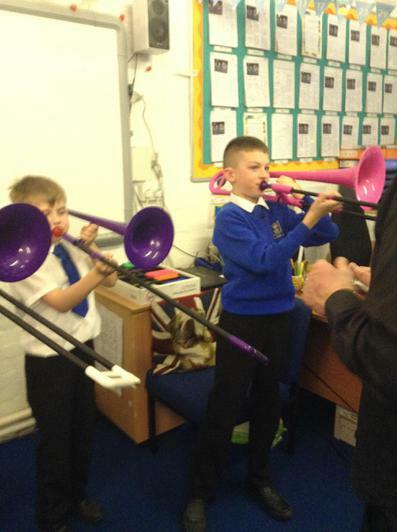 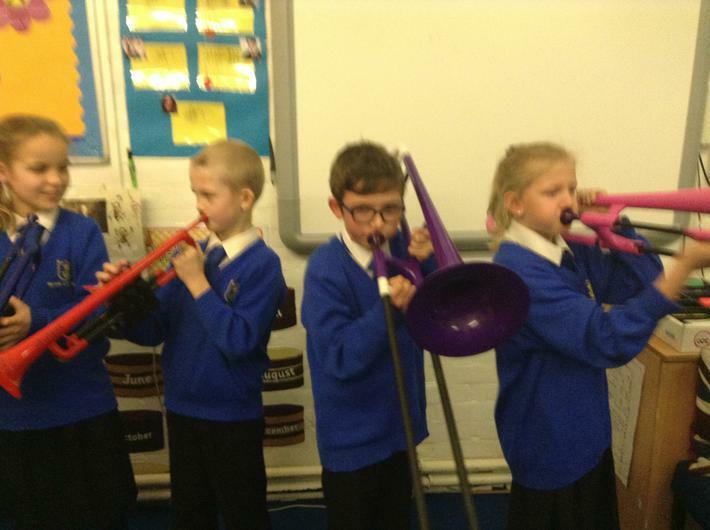 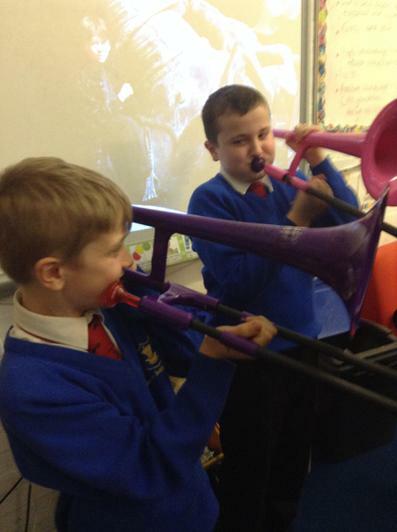 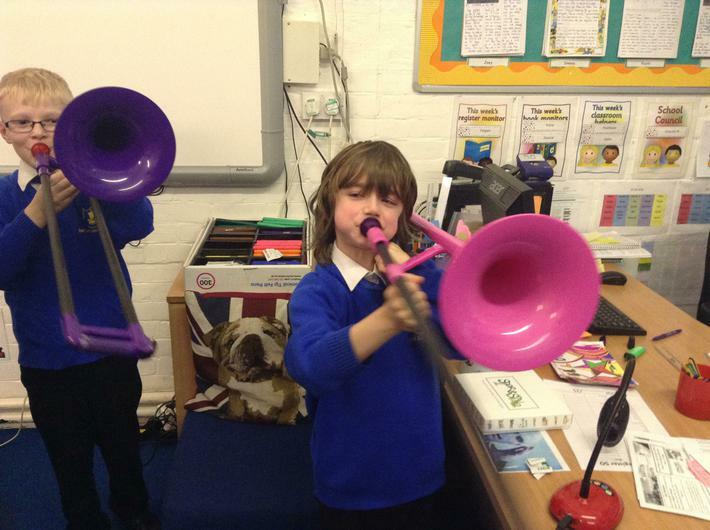 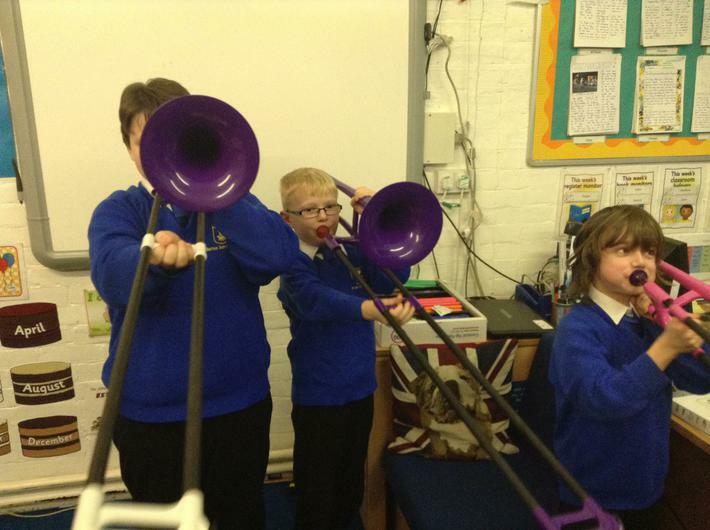 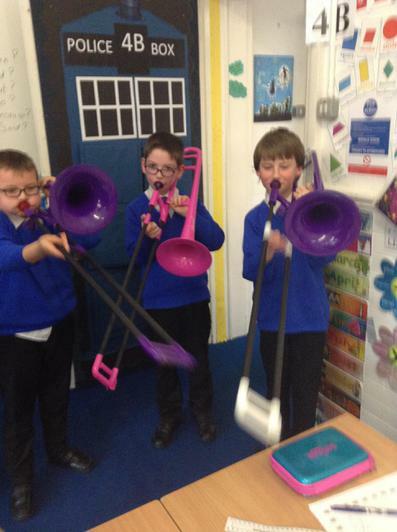 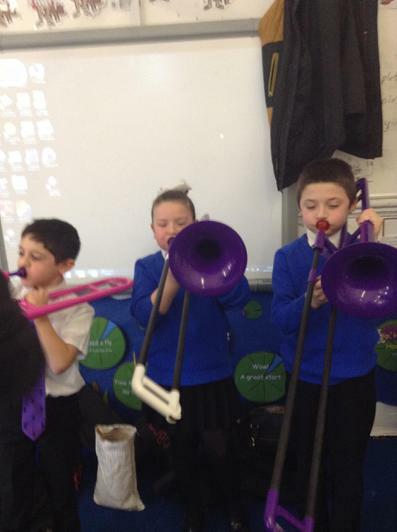 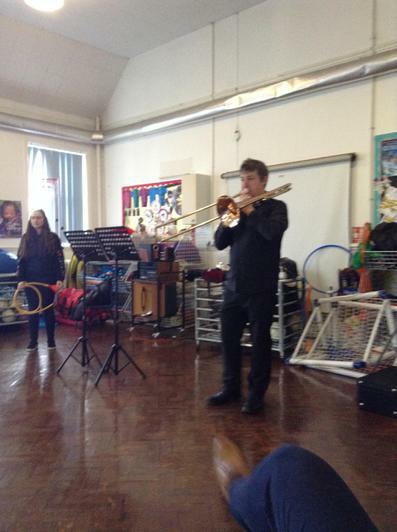 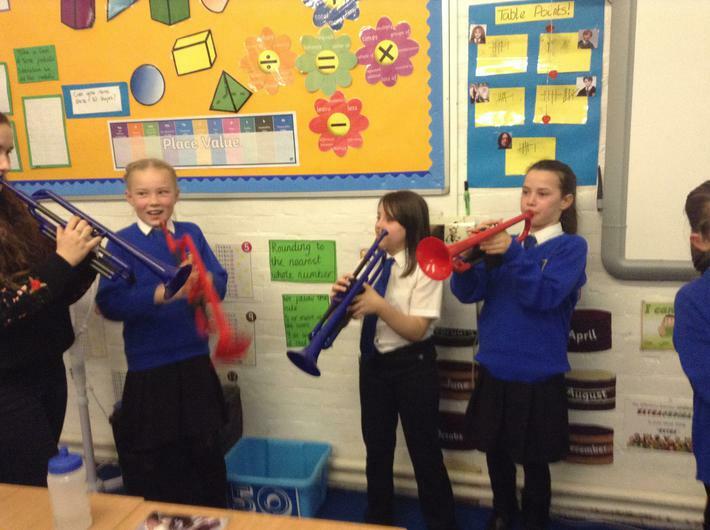 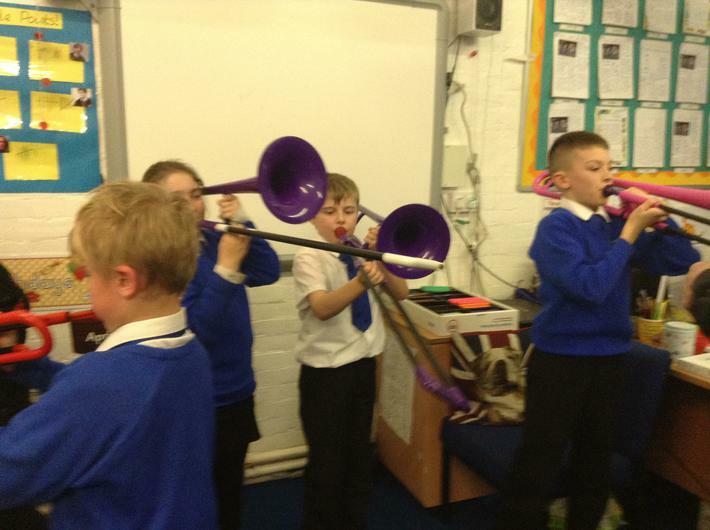 There are also some Music Making Days available to children who are already taking part in Bold As Brass at school. 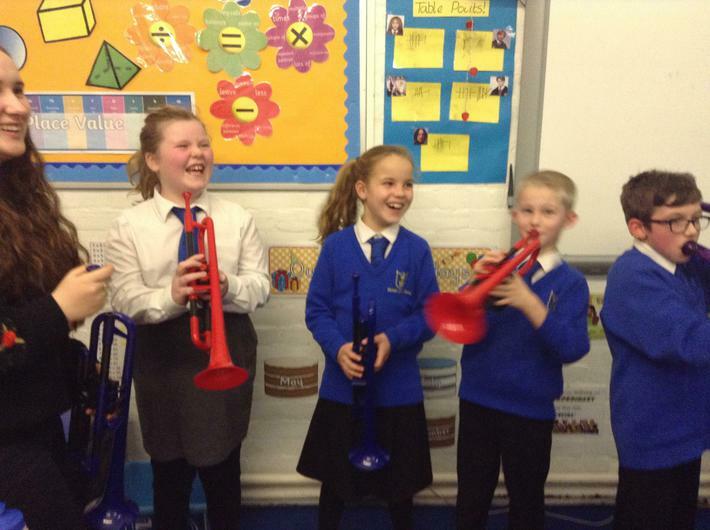 Please click the link below for information. 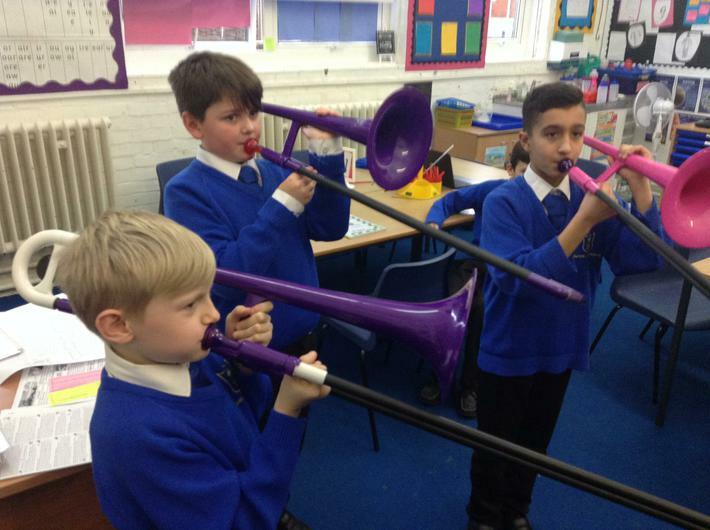 The next Blow Out Day will be on Saturday 9 February - 10 am until 2:30 pm with a concert at 2 pm, this is taking place locally at Goodwin Academy on Hamilton Road, Deal. 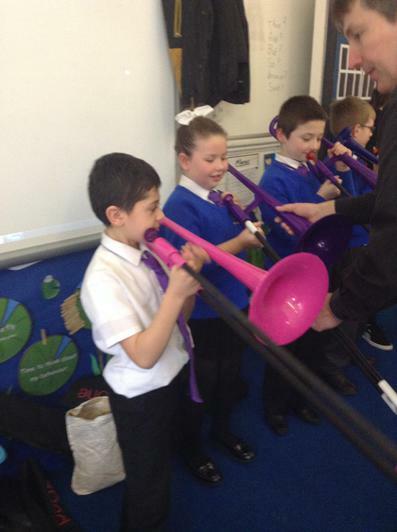 This is a fantastic chance for your children to be involved in fun workshops and learn to play their instruments along side other children. 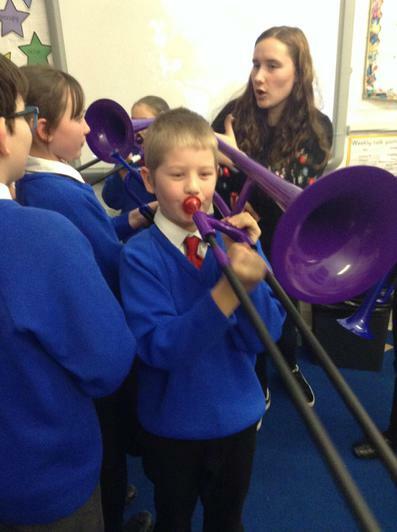 Within this page you will find the information regarding the bursaries that are available through Kent Music. 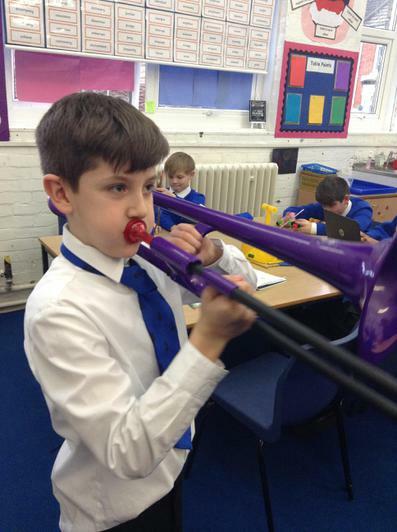 If you think you may be eligible for a bursary to help fund your child/children's instrumental tuition, there is an application form available to download on this page. 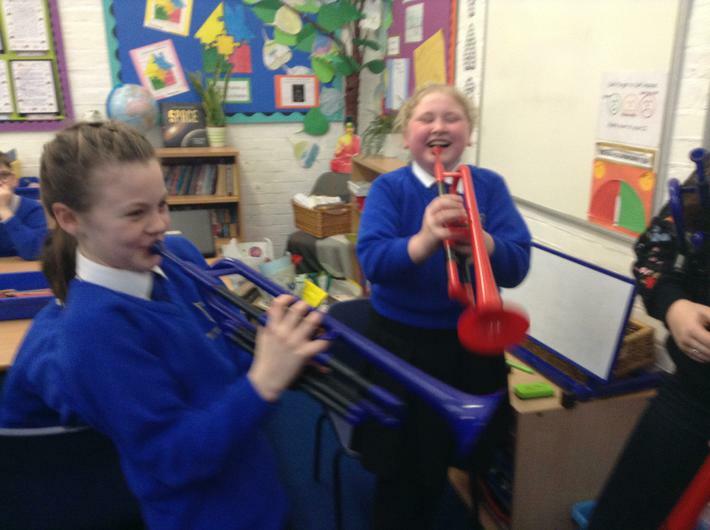 Bold as Brass' exciting demonstration of how Brass instruments are played.